Last year wasn’t our best year holiday wise as we had to cancel a much need sunny holiday in October which unfortunately clashed with a big gymnastics competition for Sydney. That might not sound worth cancelling a holiday for, but she trains for 18 hours a week and works incredibly hard, so we couldn’t take the opportunity away from her. 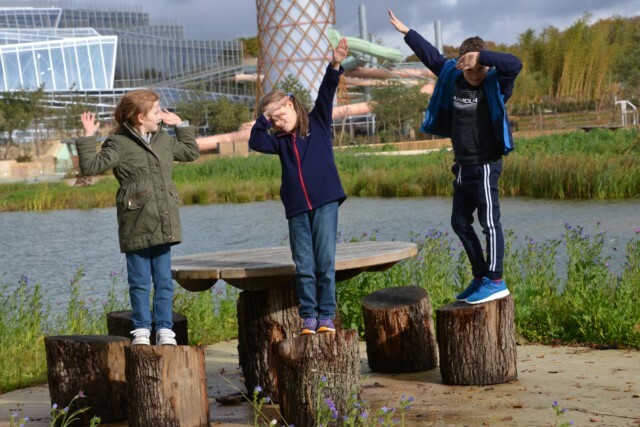 Luckily Villages Nature® Paris saved the day by offering us a weekend at the brand new holiday village just 32km from Paris. I knew the children would love all the activities that are on offer and it appealed to me as it really embraces sustainable tourism and employs all the latest ‘best practice methods’ to minimise its ecological footprint. The photos on the website looked incredible, we couldn’t wait to get there. Villages Nature® Paris opened in September 2017. The unique park contains five immersive worlds with the aim of making guests feel at one with nature and offering a complete change of scene to help them reconnect with the things that truly matter. We visited in November just after a very busy half term, we were completely exhausted and in desperate need of a break with the children where we didn’t have to think about work or school. Villages Nature® seemed like it would be the perfect location to recharge. We decided to drive as we had a lot baby equipment to transport. I’d recommend eurotunnel over the ferry as it only take 30 minutes, whereas the ferry is 90 minutes, but my husband preferred the ferry as it gave him a proper enforced rest from driving. It took us about three and half hours to get to Villages Nature Paris from Calais, but the drive was easy and the park very easy to find. Flying or Eurostar would be much easier and save a lot of time, so if we go back I would choose one of those options. Check in was very quick and easy. We did have a little trouble finding our cottage as it was very dark but we were able to park outside and unload before moving the car to a nearby car park. Charlie was 6 months old when we visited Villages Nature Paris. The short journey time meant the travelling was relatively easy and our beautiful cottage had everything we needed for him, including a cot and highchair. We had our own kitchen so heating and making food was easy and the cottage was spotlessly clean so we didn’t have to worry about him sitting on the carpet or sofa. It only takes about 20 minutes ( less if you walk fast ) to walk from one end of the park to the other, which meant we didn’t have to drive once on site and it was easy to either have Charlie in the pushchair or baby carrier to get around. He loved watching the other children excitedly buzz around him as we explored. Each restaurant we visited was also very clean with highchairs easily available. Charlie loved the soft play ball bit at BellVie Farm and really enjoyed swimming too. 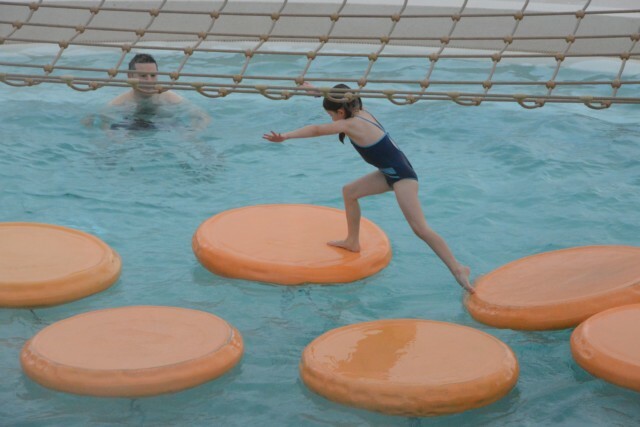 There’s a great baby and toddler area at The Aqualogon® which I’m sure would keep a slightly older baby busy for hours. The play areas were very wet or closed during our visit, but had they been open Charlie would have had a great time exploring those too. 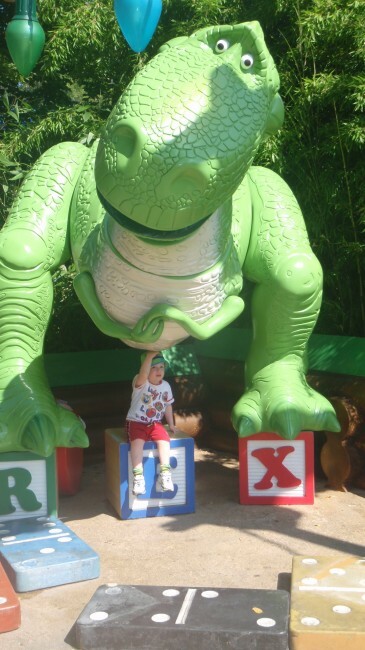 Villages Nature® Paris is a wonderful location for a family holiday with a baby, there’s plenty to keep young children occupied with fantastic food and relaxation for the grown ups. My children were most excited about the water park. 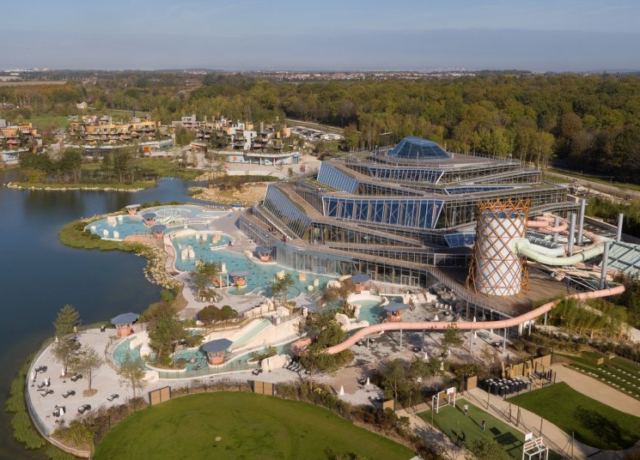 The Aqualagon® has an incredible total surface area of 9000 m2 and is the biggest water park in Europe to be heated entirely with geothermal energy. The whole park was very quiet when we visited which meant we didn’t have to queue for slides. Zak and Hannah spent most of the time whizzing down the six huge slides and challenging each other ( and Mum and Dad ) to the aquatic climbing wall, while Sydney and baby Charlie preferred to hang out in the toddler area and splash pools. We were happy to let the older children ( who are strong swimmers ) wander around by themselves as there were plenty of lifeguards around and the whole area feel very safe and secure. The slides themselves were superb, whether you like the shock of being dropped vertically down a shute or a more leisurely meander from the heights into one of the many landing pools below there is something for everyone. Be sure to keep an eye on the time though, every 30mins or so you can quickly nip to the main area to thrown around in the wave pool. 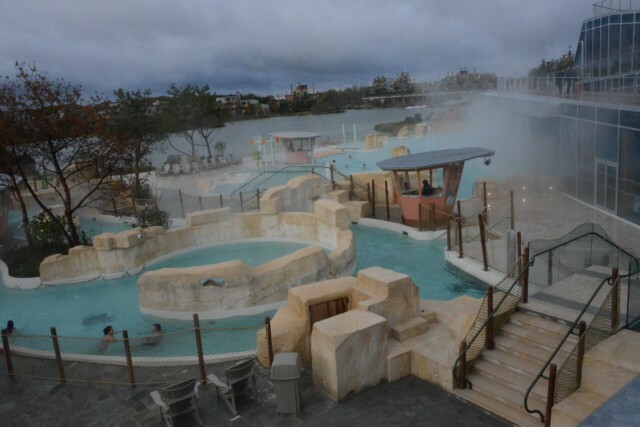 If you’d rather unwind and indulge in slower-paced activities, there are hot tubs and and an outdoor lagoon, which is heated to 30°C throughout the year thanks to the geothermic energy! The outdoor area was incredible, and it was surprisingly refreshing to be in warm water with the cold outside air on our faces. The photo below shows just a small part of the outdoor area, it was absolutely huge! It’s not often these two share a hug, but the Aqualagon definitely inspired some sibling bonding which was lovely to see. Unfortunately the weather was very poor during our visit, it pretty much rained the whole time, so we didn’t see the outdoor areas at their best, but I can image BelleVie farm being a fantastic adventure and somewhere we would’ve spent a lot of time had the weather been kinder to us. We did however take refuge from the rain several times in the amazing farm themed soft play area, which kept everyone from my 6 month old to my 9 year old entertained. After soft play we treated them them to crepes in the cafe which went down a treat. The atmosphere was slow paced, relaxing, warm and dry which was just what we needed. 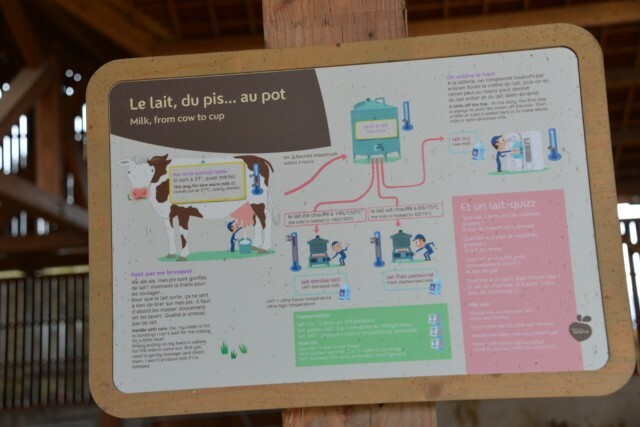 BelleVie is a working farm where guests can participate in daily workshops such as making bread and butter, learn how to look after farm animals and children can even ride through the surrounding forest at Pony Club. The Extraordinary Gardens are beautiful with four gardens that represent the four Greek elements – water, fire, earth and air. Again we didn’t see these at their best, and I would love to see them in summer time. The Forest of Legends playground was incredible. We managed a quick play on the Saturday morning, but unfortunately it was closed due to the weather on the Sunday. The playground has hiding places and hanging nests, rope bridges, den building areas and much more. Had the weather been better we would have spent a lot of time in there. It would have been the perfect spot for a picnic and some relaxing for Mum and Dad while the kids burned off some energy. The Lakeside Promenade is right at the centre of Villages Nature® Paris. In peak season there’s entertainment and evening events, but it was very quiet during our visit, which wasn’t a bad thing as we actually welcomed the peace and quiet. The supermarket was well stocked and reasonably priced, with plenty of fresh produce and essential items you might have left at home. We only managed to sample the Italian restaurant Vapiano during our visit but the service was fast, staff very friendly and helpful and food freshly cooked in front of us. The bill for 5 of us came to about £60 which we thought was very reasonable. The promenade is also home to a bowling alley, which had we been visiting for longer would have been somewhere else we would have enjoyed spending time. 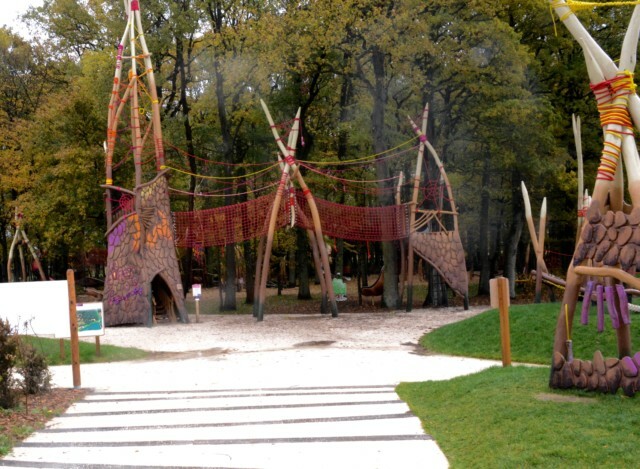 There are a huge amount of extra activities available at Villages Nature Paris. Guests can pootle about the lake on pedaloes and boats, try stand-up paddle boarding, beach volleyball, attempt a parkour adventure or even take a Segway out. The list is almost endless! Unfortunately not everything was open during our visit, but in summer we would’ve bounced from activity to activity all day long. The immersive, enchanting experience continues with the amazing accommodation at Villages Nature® Paris. 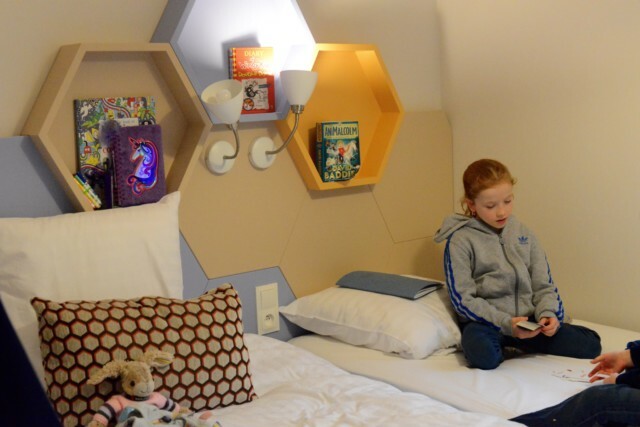 Our 3 bedroomed County Premium accommodation was very clean, beautifully decorated and contained everything we needed for a very comfortable stay with children and a baby. We couldn’t have asked for anything better, it was absolutely perfect. Again, thanks to the weather we didn’t use the outdoor area, but our cottage was right by the lake with a big table and chairs on the patio area. It would’ve been the perfect spot for a few relaxing drinks or board games in the evenings. Cocoon VIP is designed with wellbeing in mind, creating a haven of serenity. Soft and elegantly decorated, Cocoon VIP is available as a cottage or apartment by the lake or in the village centre.Prices start from 291€ for two nights for a cottage sleeping four people on a self-catering basis. In Country Premium accommodation, indoors and outdoors flow together to create a relaxing retreat inspired by English country living. These cottages and apartments can be found by the lake or in the woods. Prices start from 233€ for two nights for a cottage sleeping four people on a self-catering basis. Clan Comfort accommodation allows guests to discover their inner child in these whimsical cottages with playful decor situated in the woods. Prices start from 204€ for two nights for a cottage sleeping four people on a self-catering basis. All accommodation features free Wi-Fi, fully-equipped kitchens with dishwashers, furnished terraces or balconies and flat-screen TVs. Baby beds and high chairs are available in all cottages and upon request in apartments. Village Nature® is only 6 km away from Disneyland® Paris and would be a great location for a relaxing post Disney madness break or as a base for a Disneyland® Paris holiday. 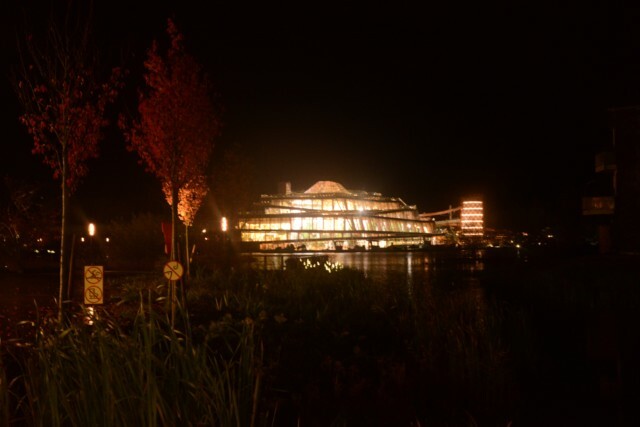 Guests staying at Disneyland® Paris can also purchase a 1 day ticket to visit Village Nature. We think the price of a day ticket would be well worth it for the water park alone. Thank you to Villages Nature® Paris for inviting us to stay. Oh, how funny! Go for it, you’ll have a fantastic time there. Oh that sounds amazing. 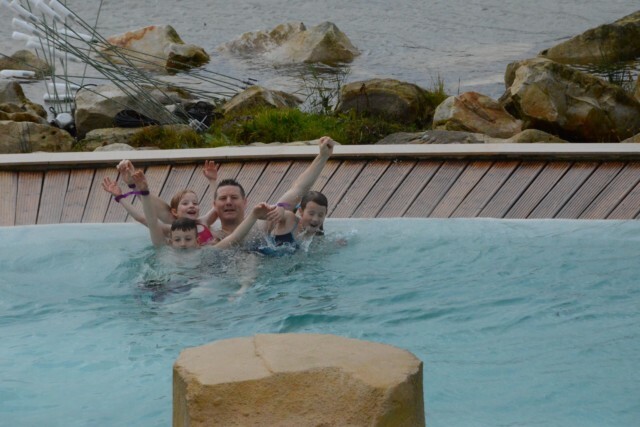 Having not long come back from visiting The Blue Lagoon I am very much excited to hear about a whole waterpark heated with geothermal energy.My boys would love it there – and that park looks amazing. I am sure they would love yet another trip to Disneyland too as they love it there. Your boys would love the waterpark and it would make the perfect location to relax after Disney! I am so grateful for your review, we came across this holiday a few weeks ago and I have been researching it ever since. I am definitely going to look at dates for getting it booked now. Sounds like an amazing place to visit – and glad you could reschedule. I like the idea of the different worlds. Sounds like such a fun place to go. I’m glad you got to have a much needed holiday afterall. Thank you! It really was fantastic! This place looks fabulous! I had no idea I’ve been so close to a relaxation oasis like this. Village Nature is now on my bucket list for the next trip to Paris. The Aqualagon® looks amazing! Villages Nature sure has a lot to offer. Can’t wait to be there.